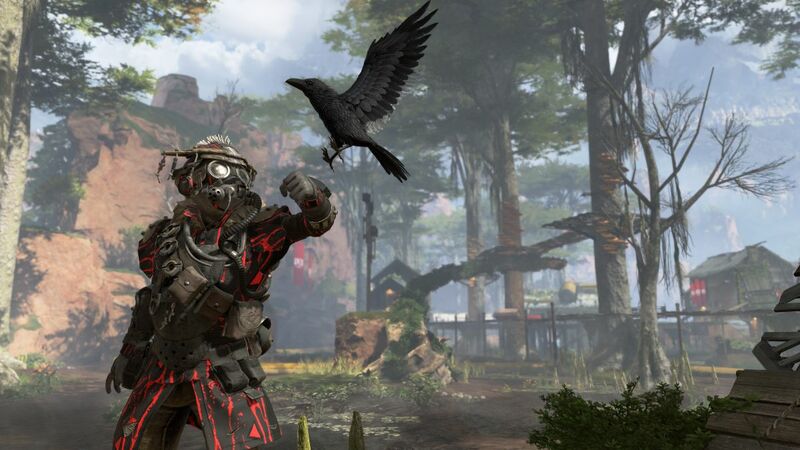 Apex Legends has just witnessed the implementation of a balancing patch which contains the first meaningful nerfs to the game’s weapons. If you play EA’s battle royale shooter, you’ve probably been on the receiving end of a hail of Wingman fire with some regularity. This powerful pistol delivers a seriously health-sapping punch with its heavy ammo, and perhaps more to the point, has a swift rate of fire. It can be a scary weapon in the hands of someone with unwavering aim (have you seen ‘Dizzy’ in action with this thing? ), but Respawn has now curtailed its damage dealing potential, by reducing that rate of fire so it’s around 16% slower. The actual damage of the weapon has been reduced too, but only with headshots using the skullpiercer attachment – in this case the damage multiplier for hitting the noggin has been pulled back from 2.5x to 2.25x. It has also been made slightly more difficult to handle, with “increased base hip fire spread” – so shots are peppered around a bit more when not aiming down the sights – and the developer has “decreased the rate at which hip fire spread decays”. In short, it’s a bit slower to fire, slightly more difficult to aim, and does a little less damage with skullpiercer headshots. The cumulative effect of these adjustments will certainly be felt, but this is Respawn trying to better position the weapon as the ‘higher skill ceiling’ gun which it’s supposed to be. This is no real surprise, anyway, given all the threads we’ve seen about how overpowered the Wingman is, with some declaring it the best weapon in the game, thanks to its overall damage potential and performance across different ranges – and particularly given the fact that it’s not hard to find. Or it wasn’t hard to find, that is, as the presence of the Wingman has also been reduced across all zones, whatever their loot tier, so it’ll be more difficult to pick one up. The other weapon to get hit with the nerf stick is the Peacekeeper shotgun, which will similarly be made a rarer find. While the base gun remains unaffected in this patch, when the Peacekeeper is equipped with a shotgun bolt attachment, its rate of fire has been slowed, leaving the user vulnerable for a longer period of time should they miss. The higher level bolt attachments have been slowed down more. Finally, the developers also noted that energy weapons will appear more frequently across the map, and more to the point, a greater amount of ammo will be available for these guns. They have been somewhat underused because players fear that even if they pick up a good energy weapon, they might not find much ammo for it (unless they get lucky and kill an opponent also using one of these guns, who has a stash of ammo). These balancing moves make sense to us – the Wingman did seem a little too strong, and the Peacekeeper nerf isn’t such a harsh one (given that it doesn’t apply to the base gun – just the attachment that speeds up its rate of fire). The patch makes various other minor gameplay tweaks, including some bugs which caused a disconnection (dropping you from the game) when certain characters used some abilities (for example, when Caustic threw his gas grenade ultimate). However, the biggest other news aside from the weapon balance changes is the promise that with Season 1 – which begins at some point later this month, possibly next week if the latest chatter on the grapevine is to be believed – will bring major adjustments to the hit-boxes of characters. Specifically, the large character models – Gibraltar, Caustic and Pathfinder – have oversized hit-boxes that make them too easy to hit, and relatively underpowered compared to the other Legends, as previously admitted by Respawn. So, at the start of Season 1, Respawn will implement “hit box size reductions and optimizations” for these characters, and generally speaking, these boxes will be better sized to the character’s model and gear. For more on this, see our previous story, which discusses these issues at length. The further good news is that if the aforementioned tweaks aren’t sufficient, the developer will consider further measures to better balance the relative merits of the Legends. That could mean giving Gibraltar, Caustic and Pathfinder some kind of natural damage reduction capability – thicker skin, if you will – or tuning up their kit to be more powerful to compensate for any vulnerability in terms of how relatively easy they are to shoot due to their size. Some ability balancing changes are also coming in with Season 1, including increasing the cooldown on Wraith’s bread and butter ‘Into the Void’ tactical ability by five seconds (making it 25 seconds), and reducing the speed increase on Bangalore’s passive from 40% to 30%.